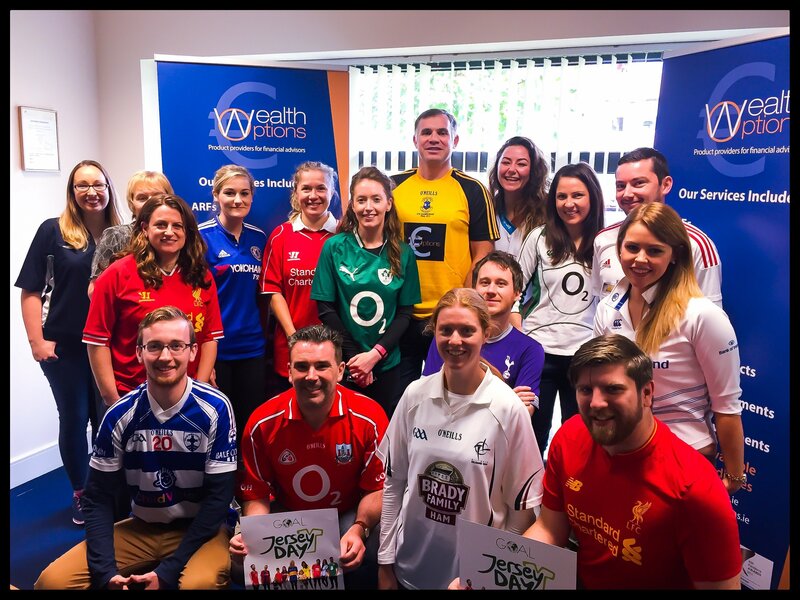 The Wealth Options Office were delighted to take part in this year’s Goal Jersey Day. This event helps fundraise for Goal’s life-saving programmes across some of the most vulnerable communities across the developing world. From soccer and GAA to rugby and hockey, there were many teams proudly represented in the Wealth Options office on the day – with some “friendly” rivalry between the Liverpool and Manchester United supporters. The primary objective of GOAL Jersey Day is to raise funds for GOAL and highlight their life-saving work across the developing world. GOAL’s vision is to see a world where poverty and hunger no longer exist; where communities are prepared for seasonal shocks; where structural and cultural barriers to growth are removed; and where every man, woman and child has equal rights and access to resources and opportunities. GOAL has made life saving impacts on some of the most vulnerable communities spanning the world and currently serves the needs of 3.5 million beneficiaries. Last year, Goal Jersey Day raised €350,000, this year the target is €500,000 and Wealth Options are delighted to support them in reaching their objective. We would like to take this opportunity to thank all the participants on the day and to wish Goal all the best as they continue with their fundraising.